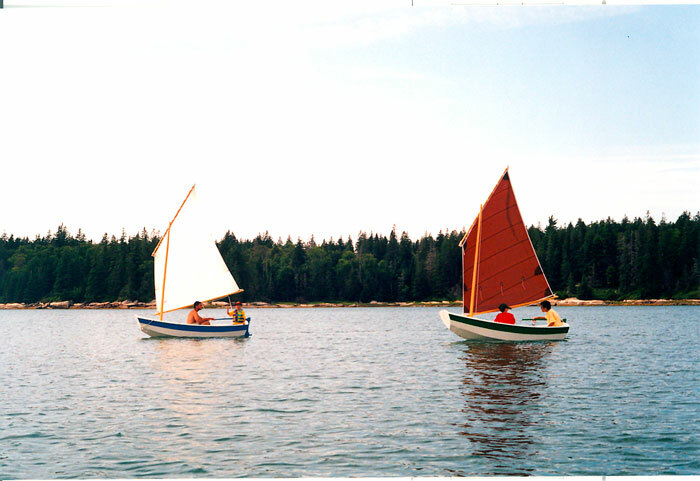 The Ruback family races its two Nutshell Prams on Seal Bay in Vinalhaven, Maine, a dream that came true after parents Richard and Elaine built them over the winter and launched them in August, 2001. 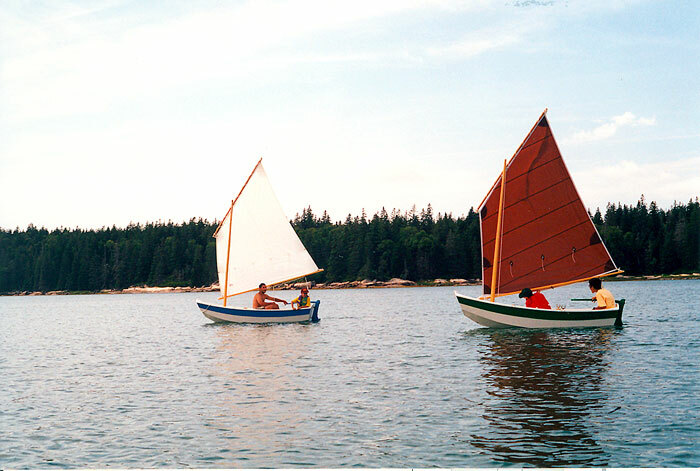 One sports a tanbark sail and the other white, so it is easy to see who's winning from the shoreline. 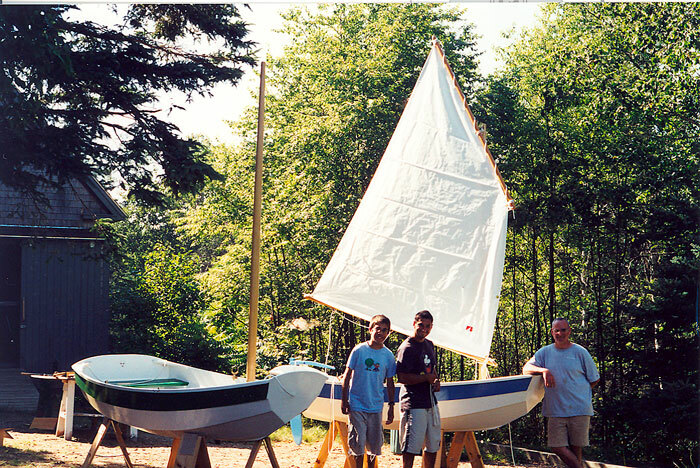 Elaine writes that it took five seasons to construct the boats, in part because Richard had to finish the barn first so they could build the prams in it.